Dealing with the loss of a family member is very difficult to deal with; but amidst the grief and sorrow, you still have to make the funeral arrangements and focus on ensuring that the service runs as planned. Heavens Own provides elegant and cheap funerals in Campbelltown. We know that when you are still trying to come to terms with your loss, the last thing you want to do is think about how the service should run. We have been in this business for a number of years and know what it takes to provide excellent funeral services. Most people wonder how much the service is going to cost them as the general impression is that it will be very expensive. We are the company that busts that myth. We provide excellent services at the most cost-effective price points. We know that you want the service to run seamlessly and that is exactly what we provide you with. We have very friendly and supportive staff that is also sensitive to the situation. You will find that when you come to us for cheap funerals in Campbelltown, you get the best services. If you have never had to deal with making these kinds of arrangements in the past and are unsure about what you would need, our staff will help you every step of the way and ensure that the service is just the way you want it to be. We also understand that death is something that comes announced and you may require our services at any time of the day or night- this is why we provide 24/7 services. This ensures you don’t have to run helter-skelter looking for different providers at an odd time of the day or night. 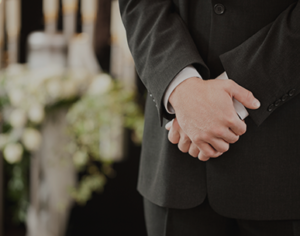 When you come to us for our Cheap Funerals in Campbelltown services, you only have to tell our funeral director what your specific requirements are. These will be kept in view while providing the services. We provide services for all religions and cultures and once you have got the death certificate which mentions the cause of the death, we handle the rest in an expert manner. If you want to know more about our Cheap Funerals in Campbelltown services, you can contact us using this Web Form. On the other hand if you prefer to speak with us- you can call the Heavens Own funeral experts at this number- 02 9002 7344.